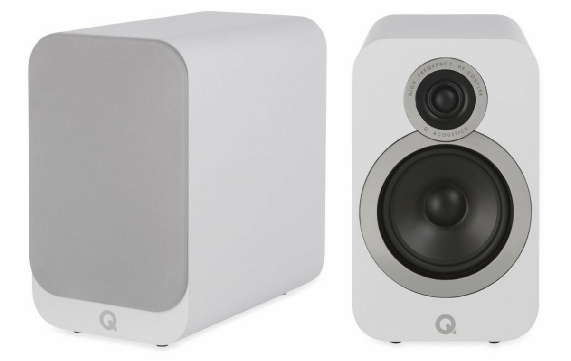 The latest range from Q Acoustics, the new ‘i’ version of the ever popular 3000 series builds upon its predecessor with various cosmetic and sonic refinement, primarily a 25% larger cabinet for improved bass performance. They feature the classic combination of a soft dome tweeter and a bass/mid driver made with an Aramid fibre/paper composite cone, for a neutral and natural sound. The Concept 20 is a new design from Q Acoustics with a novel cabinet design for a speaker at this price level. It features cabinet side walls made from two layers of 10mm mdf with a Gelcore coating between them, this non rigid gel layer appears to damps the cabinet very effectively. Two finishes are available, a high gloss black and high gloss white, as pictured above and below. 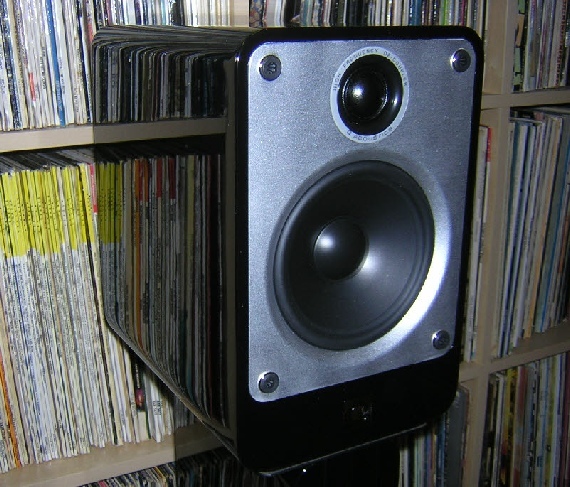 Matching stands which also use Gelcore in their construction are also available and these really should be considered an integral part of the speaker, for reasons I will explain below. The Concept 20 has a very refined sound, one that has impressive levels of bass for their size and good sense of overall tonal balance. There does seem to be a low cabinet signature coming from the box leaving the lower mid range pleasing clear of colouration and they are able to create a good wide and reasonably deep soundstage, especially when pulled away from the rear wall. 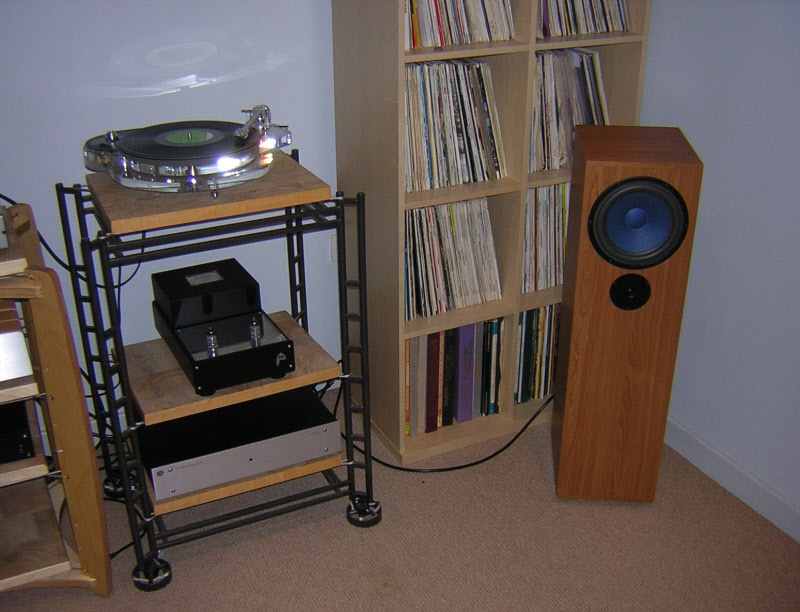 The stands do seem key for getting the best balance out of these speakers, it’s clear they’ve been voiced to work with one another as they impart a warmth and solidity to the sound that is missing when used with many lesser stands. There are more dynamic speaker designs available and ones that time better in the bass (arguably the greatest limitation of the design and something that the stands do seem to exacerbate - I suspect this is a small side effect of the Gelcore damping), but regardless of this, the overall performance Q Acoustics have managed to achieve at this price point is really very impressive, and in a very sophisticated looking package to boot. 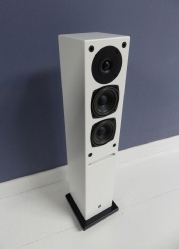 Over the last few years there has been a move towards making budget floor standing speakers larger and larger - presumably with the aim of offering greater perceived value. This can not only have sonic downsides (as larger panels will be more prone to resonance), but also makes them dominate smaller rooms. Against this competition the Apprentice speaker is a breath of fresh air, it is truly diminutive, enough to even justify the term ‘cute’. They stand just 75cm tall (without plinth), are very nicely proportioned, and are finished in Cherry real wood veneer. Under the skin is a well braced cabinet, with a soft dome tweeter and two paper bass/mid drivers working together in unison. The crossover is an ultra simple first order design, which slowly blends the high and low frequencies together at the crossover point and helps reduce the often obvious transition you get with more complex circuits. Whilst designed to be used close to walls they are actually remarkable placement tolerant, and can be pulled into the room without losing much bass output thanks to the front mounted slot port. 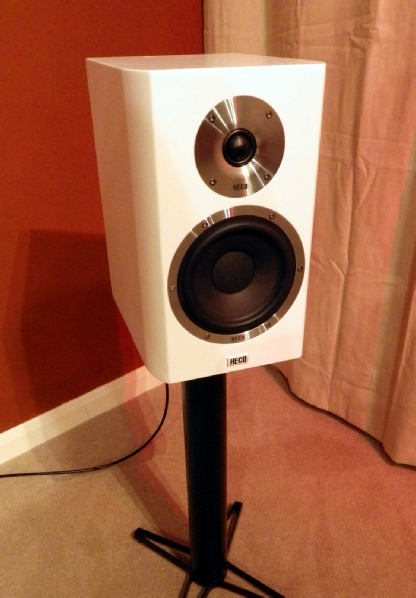 Sonically they do not really match their appearance, this isn’t a small sounding speaker. It has image scale, especially height, that is very impressive, with the result that they disappear into a wall of sound remarkably effectively. The fact the bass weight is well judged, whilst being nicely extended and remarkably effortless for such small drive units is the icing on the cake. We’ve thrown all sorts of music at them, including complex electronic music like Jon Hopkins and the speakers do a remarkable job, they have the timing and speed to get your foot tapping and draw you into the performance like few others manage. As you’d expect with paper cone drive units the mid band is airy and naturally, with voices and stringed instruments sounding particularly well portrayed. 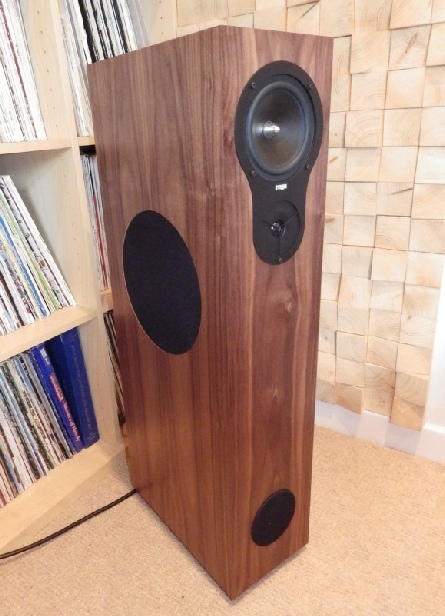 If you’re after a budget floor standing loudspeaker then the Apprentice SP should really be on your list, I can’t think of any other current design that offers this blend of strengths (the nearest I can think of is wonderful old Royd Minstrel that I used to sell 15-20 years ago, and they didn’t look anywhere near this attractive). What’s more this speaker is actually being built in Britain! Dimensions: Height 75cm (excluding plinths), Width 15cm, Depth 17cm. The latest range from Q Acoustics, the 3000 series builds upon the remarkable 2000 series. 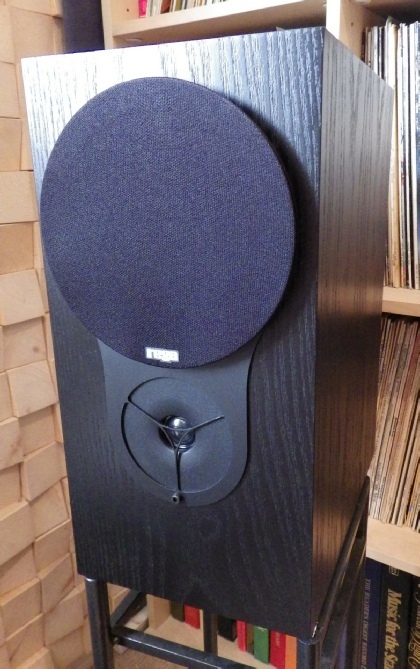 It features a new concentric ring dome tweeter and a bass/mid driver made with an Aramid fibre/paper composite cone, uprated crossover components and a more rigid cabinet. The 3050 are a quite sizeable floorstander, especially considering their low price, but unlike many budget designs the cabinet is rigid and shows no signs of cost cutting. As befits its substantial proportions the bass is well extended and full, but not over powering in level (and foam port bungs are included when sub optimal positioning is necessary), in this respect they are a remarkably mature speaker, many firms hype the bass on their budget models thinking that that’s what owners want, but we rarely find that’s the case. The overall presentation is smooth, refined and with a good sense of ease. There’s a slight softening effect compared to more expensive designs, but this will counter the more forward artefacts often present in budget driving electronics that they’re likely to be partnered with, and they’re still revealing enough to show improvements elsewhere in the system. 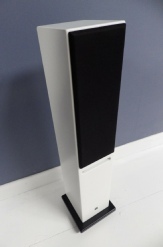 These are a remarkably able floor standing speaker offering great actual and perceived value for money, with a room filling sound that isn’t overblown, making them an ideal starter floorstander for a wide variety of sizes of rooms. The SP1 is a compact British made mini monitor from Edwards Audio. For such a diminutive box the bass extension and clarity of the SP1 is incredibly impressive, they like a little amount of space away from walls and corners (which naturally gives them very good imaging depth), but when positioned properly you could almost think there was a very well integrated sub woofer playing simultaneously, as it’s hard to believe so much can come from such a small enclosure. 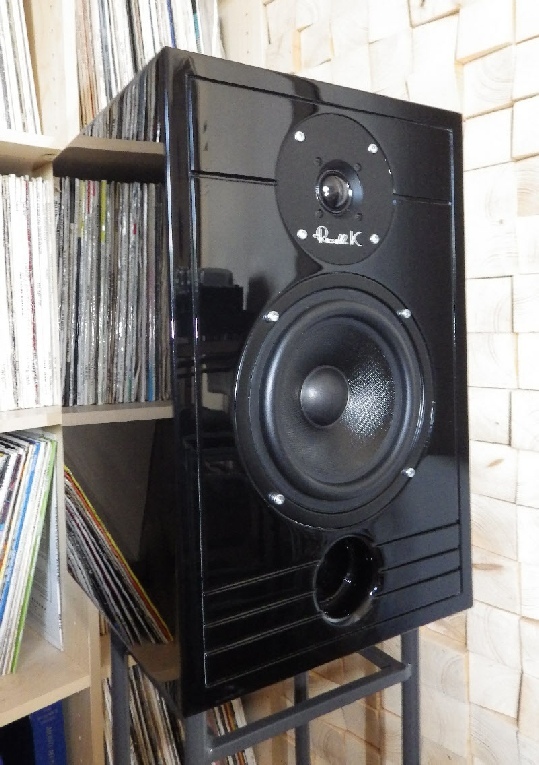 Not many people know that Audio Note produce a range of affordable speakers, but the AX1 really deserve much wider recognition as they offer extraordinary value for money. 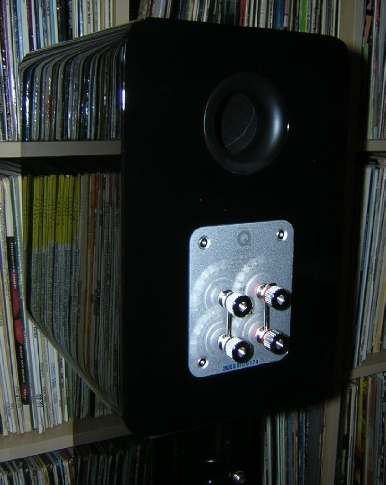 Designed with reasonable efficiency in mind (for their size) and an easy impedance curve, the result is that they can be driven by practically any good quality amplifier on the market, irrespective of output (we used everything from 4 watts and upwards, but would recommend upwards of 8 watts for most customers unless used in the very close nearfield). 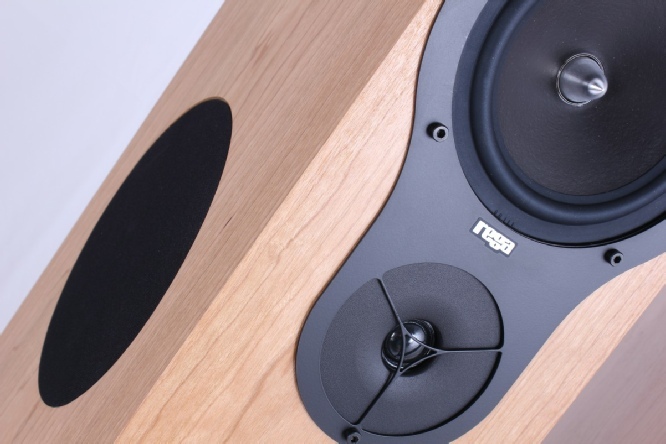 The real strengths of these speakers is their even tonality and involving fast paced performance, they simply are exceptionally easy to listen to. If you’re not put off by their low price and their slightly dated appearance you’ll be rewarded with a speaker which can reproduce voices in a way few other budget designs can match. The Elementa 300 is a new stand mount design from Heco. It features the classic recipe of a paper coned mid/bass driver and soft dome tweeter, which is housed in a smart satin painted mdf cabinet. So the recipe itself might not be anything unusual, but the sound really is. For the price and size these are an incredibly well judged design, they’re efficient (90dB) meaning that dynamics are impressive and almost any amplifier can be used with them, yet they also offer very good bass extension and power for their size - not something that is terribly easy to combine. 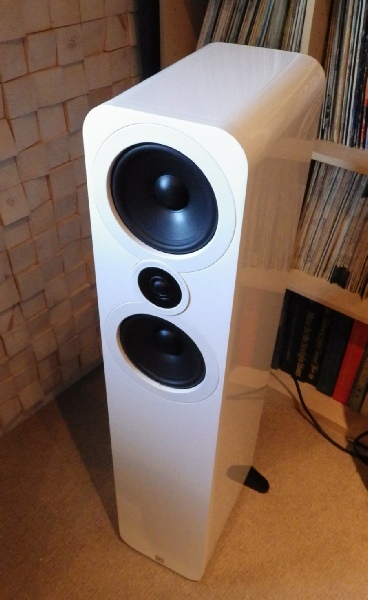 There are elements of these that remind me a lot of several much more expensive speakers, colouration is pleasingly low to the point that looking for it becomes near churlish, plus they have an effortlessness that makes them incredibly easy to listen to, yet they are never boring. The ability to hear into multi track recordings is also really rather remarkable, you can follow individual parts at will or simply let the whole wash over you. Some of this is undoubtedly helped by their fine imaging (possible related to the rounded corners of the cabinet and smoothed tweeter face plate), but I’m sure a lot also comes from the mid/bass driver unit, which actually reminds me of some of the hemp drivers which have a sweetness to the very top of their register, they perhaps soften some percussion a touch but make up for it by revealing instrument textures so clearly, and in doing so help to get a great balance between excitement and long term listenability. The long and the short of it is that if I’d be told they cost twice the price I wouldn’t have been surprised and they still would have joined our speaker portfolio - and I don’t think I can praise them any more highly than that. The AX-Two shares much in common with the AX-One featured above. It builds upon its strengths by adding greater bass solidity and scale, to the point it rarely sounds like a small speaker at all when positioned close to a wall on good stands. Dynamics from its light paper bass driver are of a very high standard and this design is remarkably revealing of system quality and will especially reward those users with high quality amplifiers (valve or transistor). The AX-Two is very easy to drive and I can think of no better affordable design to show you the special qualities of a single ended valve amplifier - namely their exceptional tonality and speed. Even if your budget extends much higher than the price of these speakers I still highly recommend an audition, most other manufacturers would put these speakers in an exotic box and charge 2-3 times the price. The RX1 is the smallest in the latest range of Rega loudspeakers. It follows on from its predecessor, the RS1, but with substantial changes. First, most obviously, is the cabinet which is considerably more substantial, being made from much thicker mdf. There is also a new bass driver, with a coated paper cone. The changes Rega have introduced have dramatically reduced colouration, making them much more consistent sounding from recording to recording, and genre to genre. The RX1 also has remarkable bass extension for its size, and seems untroubled by close to wall positioning. 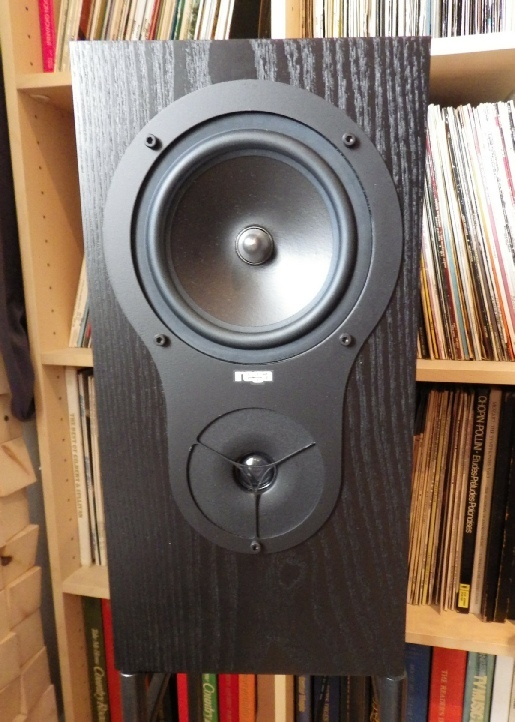 There is still the speed and timing that Rega speakers are rightly well known for, and there’s particularly impressive image width (and depth if you can bring the speakers away from the rear wall). Following hot on the heals of the Red 100 (featured lower down this page) the Red 50 is a smaller design that shares many of the same ingredients that make its bigger brother so successful. The small cabinet is about the same size as the famous LS3/5A, but there the similarities finish, as the 50 has wider bandwidth, greater dynamics as well as a much more engaging and natural sound. If you are looking for a very compact speaker with an expansive sound, then we can highly recommend the Red 50. The speakers are available in various different finishes, with the Standard finish being a ribbed grey cabinet with red fascia, they can also be supplied with real wood and gloss black painted cabinets for a premium, please see the details below. The SP2 is a compact floorstanding speaker from Edwards Audio which produces a sound that belies its relatively diminutive size. Its twin doped paper bass/mid drivers produce a big and punchy sound without ever sounding overblown or slow. They also have a knack of disappearing and producing a spacious image that extends in all directions. 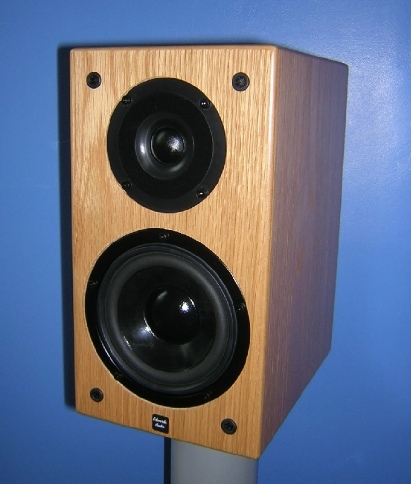 These speakers are available in Oak real wood veneer, or for a premium, a high gloss hand polished black or white paint. The K models are an all new series from Epos, and replaces the classic Epic range. The K2 is a relatively compact floorstander and is available in either a sating Black or satin White finish, with an optional grill available for those that need it. A simple crossover (first order on the tweeter) apes the classic original Epos models, and unusually the passive crossover can be completely removed and replaced with a full active crossover/amplifier combination at a later date (currently in development). The Concept 40 is the second model in the Concept series, following on from the Concept 20 that’s detailed further up this page. Like the 20 this features the Gelcore cabinet construction, which serves to damp vibration and reduce colouration in the important mid band region, and also explains why they’re surprisingly heavy for their size at 18.5kg each. They produce a sound that is tonally quite rich, with good scale and smoothness, making them ideal for use with good budget to mid market equipment. Their imaging is wide and spacious with good instrument placement audible. 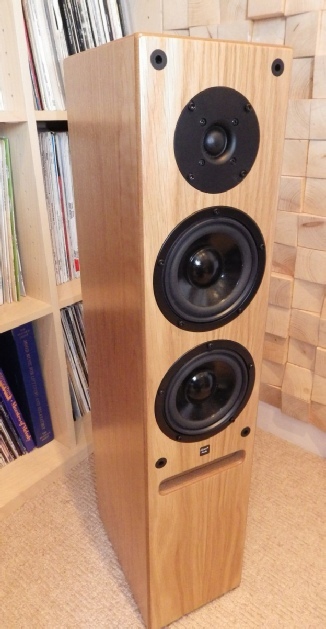 The lower frequencies are full and rounded, like the Concept 20 they are not the fastest in the bass, but this is possibly a side effect of the cabinet construction and is arguably a fair trade off given the mid band sounds so free from boxy colouration’s. Ultimately this is another great all rounder and a model that is well worth auditioning at this price level. As the name suggest, the Tablette 10 is the tenth generation of ProAcs smallest speaker range. 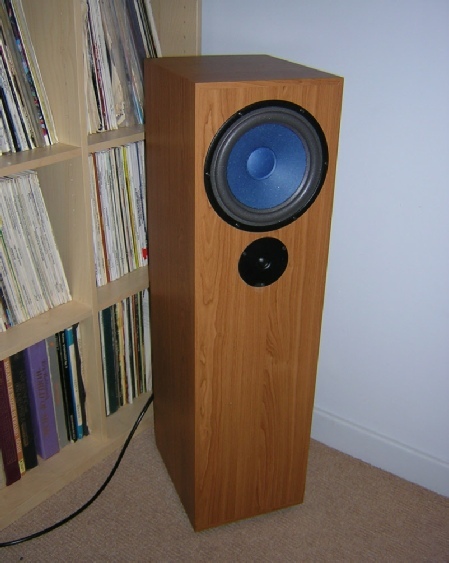 This model is loosely based on the BBC LS3/5A - the cabinet is the same size, it is a sealed box and uses a damped thin wall cabinet - all things familiar to the LS3/5A aficionado. 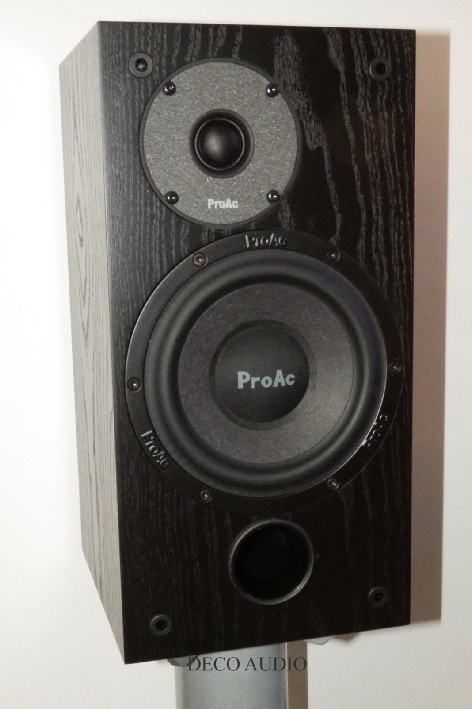 Where ProAc have broken from tradition is to use modern high quality drive units and crossover - gone is the plastic coned bass driver, replaced by a Paginna Mica mix (a doped combination of Reed leaves and Mica), with a 1” Silk dome tweeter. 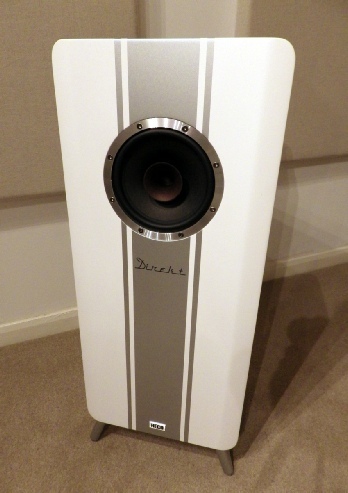 The result is a speaker that much more expansive than its small size would lead you to expect. The mid band is wonderfully open and resolved, there’s great clarity and surprising dynamics for a diminutive and relatively inefficient box (86dB claimed). They are naturally well suited to close to wall positioning, and whilst you wouldn’t call the bass extension thunderous, what’s there is tuneful and well proportioned. I suspect the aim of the Tablette 10 was to show what ProAc could do with the basic LS3/5A recipe when not tied to the officially licensed formula of crossover and drive units, and I’d say it is an unreserved success. Here’s a thoroughly modern take on a classic, and for those who are on a budget or are space limited then the Tablette 10 is an essential listen. Russell K is the new speaker brand from designer Russell Kauffman. It’s an unusually designed speaker which gives it some really audible strengths. 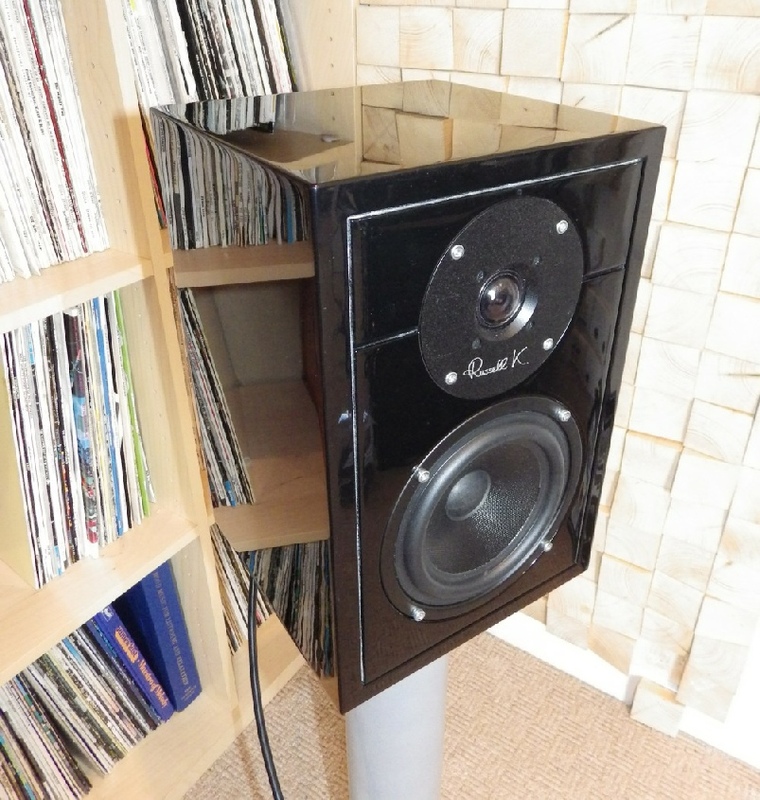 Whilst it may look from the outside as if it’s a normal ported speaker, in fact it’s rather more complex. 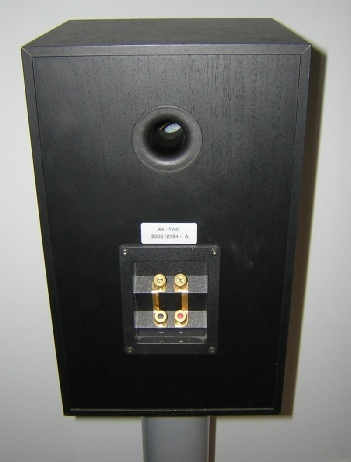 The box is internally divided with the rear output of the bass/mid driver being loaded into a small undamped cavity, then through carefully sized vents this loads into a more conventionally reflex ported cabinet chamber. This complex cabinet design means that the boxes are very stiff thanks to the bracing of the internal divisions, and due to the small volumes it has been possible to completely dispense with damping material. The sonic result is bass with great speed, timing and tonality, there’s an absence of obvious box colouration throughout the registers and none of the normal hump in the bass that a lot of manufacturers engineer into the response of smaller boxes. The midrange is also similarly fast and natural sounding (thanks to the paper cone) and the treble (from a large soft dome) blends seamlessly - real evidence that a lot of work has gone into voicing them properly. Ultimately these are an exceptionally engaging, transparent and agile all rounder which ‘gets out of the way’ more convincingly than a speaker has any right to at this sort of price level. What also surprised us is how easy they are to drive for a small speaker, with a 7 watt single ended 300B valve amplifier being a great match for them, so basically any quality amplifier, almost regardless of power, will make a great combination. 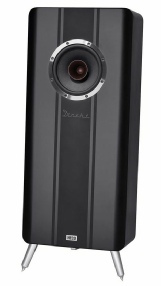 The AZ2 is floorstanding two way speaker from Audio Note. The design is what they call a folded quasi parabolic horn design, whose mouth vents through an exhaust at the top of the rear of the cabinet. 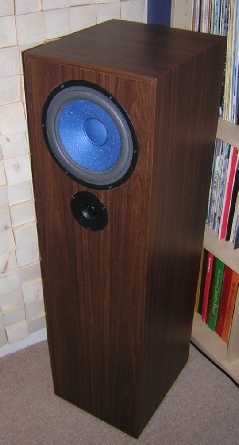 The speaker is intended to be used pushed hard into the rooms corners, where it develops well defined and extended bass. The version featured here is the latest ‘H’ model, which dispenses with the paper bass driver of the original model and instead uses cones made from Hemp, as seen on many of the dearer Audio Note speakers and are a key part to what makes this speaker rather special. The benefits of the longer grains on hemp gives the sound a relaxed and highly textured mid band quality. If you’re used to a paper driver then at first you may feel that leading edge definition has been traded off, but as you acclimatise (as you must with any substantial system change) you suddenly realise that it’s the subtle colouration of paper that has gone, and yet neither the speed or dynamics have been sacrificed. It sounds as if distortion is lower and at higher volume levels they remain even more composed. Cabinet colouration isn’t as low as their dearer models, but this is a minor criticism which doesn’t affect their musicality one jot. With these speakers you get seduced by the mid band, the tactility and life like vocal/string region and ultimately they show what is so glaringly wrong with so many of the mass market competitors designs. 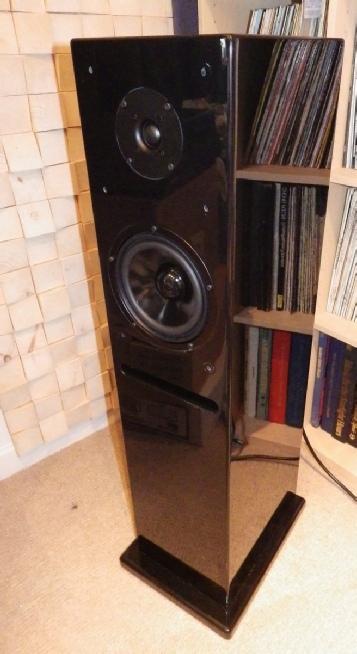 They may not be the prettiest speakers in the world (although the current vinyl finish is of good quality) but the money has been spent on the insides where it counts, and to complain about that would be churlish given the performance on offer. The AZ3H is the larger version of the AZ2H featured above. 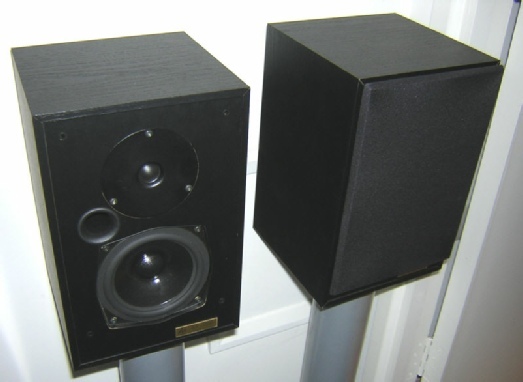 The differences are not just limited to the increased cabinet size but also the tweeter, whereas the AZ2 uses the same tweeter as found in the AN-K, the AZ3 uses the tweeter found in the AN-J and AN-E. As you’d expect there’s greater treble refinement and resolution from the superior tweeter, and greater low frequency ability due to the larger cabinet, but for me the biggest jump was a reduction in cabinet colouration (which is counter intuitive given the increased cabinet size). 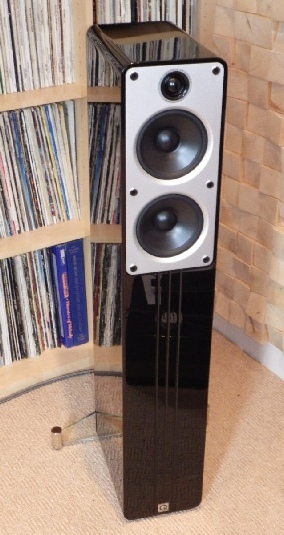 If you can live with their taller dimensions then these speakers are an absolute must for anyone looking for an affordable floorstander, the fact they’re very easy to drive and can be placed in corners are just the icing on the cake. 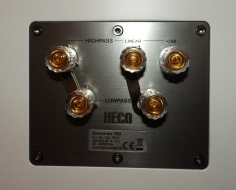 The picture below shows the AZ3H on the right hand side, alongside the smaller AZ2H on the left. 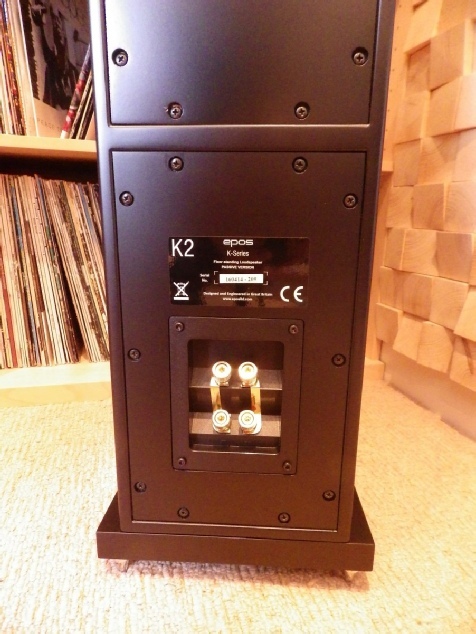 The RX3 is a new floorstanding design from Rega and like all of the new RX series features thicker cabinet walls than their recent predecessors for reduce box colouration, as well as a new doped paper cone. Like its predecessor it features a narrow cabinet with mirror imaged side mounted bass drivers in a 2.5 way configuration. The Rega RX5 is a remarkably discrete design, it’s only 83cm tall but produces a sound that is much more substantial than it’s dimensions would suggest possible. What’s more remarkable is it does this with great speed and tactility. This is all thanks to Rega’s development of their drive units, especially the mid and bass drivers which are made in house, with the mid range unit benefiting from a new doping treatment. 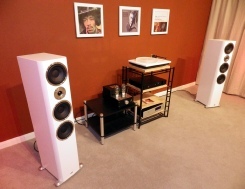 They feel this gives them much great control over the design and through extensive development have been able to reduce the complexity of the crossover required, which is always a good thing and I’d suggest is responsible for the directness and speed of these speakers. Over its predecessor, the RS5, the new design has thicker walled cabinets which reduces colouration, especially in the lower midband. The mirrored side firing bass driver also allows great flexibility with setup, for close to side wall applications they can be put facing inwards to reduce bass boom for example, and the design works well close to rear walls thanks in part to the front firing port. The SP3 is a rather deceptive speaker. From the outside it’s conventional and quite unassuming looking, but under the skin there’s much more going on. 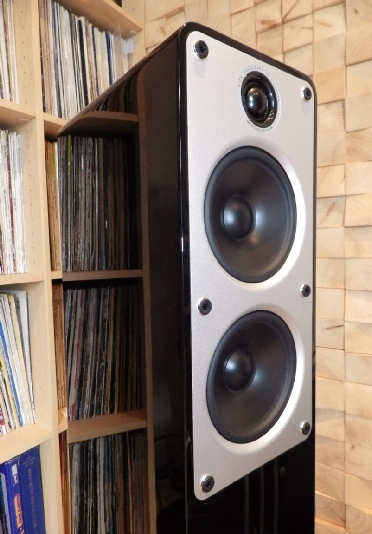 Close your eyes and listen and you will swear a much larger speaker has been substituted, the bass is incredibly well extended and substantial. It’s unstressed too, and times well. How this is possible given the size is easy to explain, how it’s possible to do for the price is less easy (especially considering they’re made in the UK). You see this is an Isobaric design, this means there’s another bass driver directly behind the one visible on the front and the two work together via a tiny chamber. 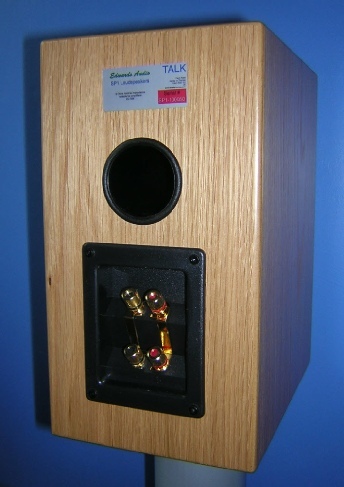 The benefit is that you get the same bass extension of a cabinet of twice the volume, and therefore much more extended bass than a more conventional design. 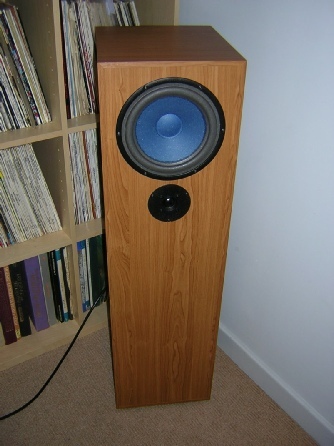 It certainly works too, bass is incredibly deep and solid for a speaker of this size, and I was very pleasantly surprised that there’s no hint of strain or lack of integration - this is no one trick pony - it simply sounds like a very good large loudspeaker. They’re fast too, there’s none of the slurring you can get with some transmission line speakers (another technique that promises extended bass in a compact enclosure), so they time well and keep your foot tapping. 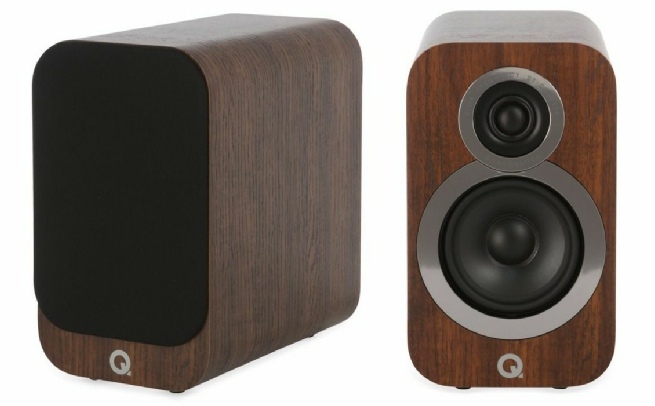 The only small downside is that they are quite a power hungry speaker due to the 4 Ohms impedance and claimed 87dB sensitivity - not ruinously so, but any amp with a decent power supply and an output in the 50-100 watt region is advisable. If you’ve always fancied the sort of sound that only a really substantial (and substantially priced) speaker can produce, yet have neither the space or budget for them, then the SP3 must be very high up your list. The Einklang (or ‘one way’) is the new baby of the Direkt range. 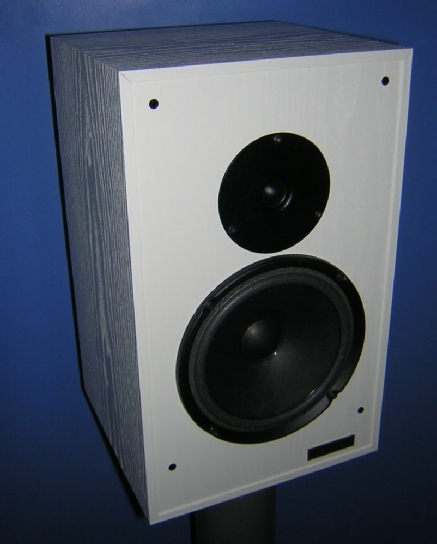 As the name suggest this speaker uses a single full range drive unit to cover the whole frequency range, which uses a paper cone, ferrite magnet and ‘whizzer’ cone for high frequencies along with a network to control the response of the driver. The now familiar wide and slanted twin ported enclosure matches the rest of the Direkt range. 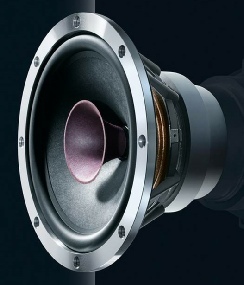 With a sensitivity of 94dB they are efficient and also very easy to drive. Before going too much further I’ll be honest and admit I have a love hate relationship with single driver speakers. Whilst they do some things that other designs find hard to match, the compromises in terms of colouration, smoothness of response, bandwidth and a selectivity that favours some types of music over others means that once the initial honeymoon period is over their limitations can become frustrating. But here Heco have clearly worked very hard to perfect this design, the response sounds generally very flat with no hint of shout and edge to the sound audible at all. A filter/network is used to flatten the drivers response, and I swear you can occasionally hear the network nipping and tupping certain frequencies (mostly in the male vocal region) to hold back the drive unit and prevent even the faintest whiff of shout from occurring, and it’s very successful, there is some shifting of tonality due to this, but it is not overly intrusive and does not seem to get in the way. Onto bandwidth and this is surprising, most obviously in terms of the low frequency extension which is pretty impressive for their size and efficiency. In the treble they are not quite as beamy at the top end as most (although care should be taken to sit on axis) and the treble quality, whilst not matching that of a good separate tweeter, does not draw attention to itself, and apart from losing a little sparkle at the very top is not lacking. The string quality of them is very appealing, but then I kind of expected that they’d excel with orchestral pieces. Female vocals are also very nicely rendered - an example was with a Stina Nordenstam CD where the sound was breathy and intimate, just as it should be thanks to the very close miking. But what particularly surprised me is this isn’t a design that limits you to more restrained music (as is typical of the breed), in fact they seem to thrive on being worked hard, producing a sound on the ‘These New Puritans’ track ‘We want war’ that belies their design ethos and size - I was genuinely surprised at how well they portrayed the energy and scale required to do justice to this difficult recording. I also found that they coped much better than expected with dense compressed material, which is where the distortion inherent in a drive unit that is attempting to span such a wide frequency range normally becomes apparent, but here they coped admirably. They also do not seem to fall to pieces as the volume increases, again this is a novelty with this sort of design. 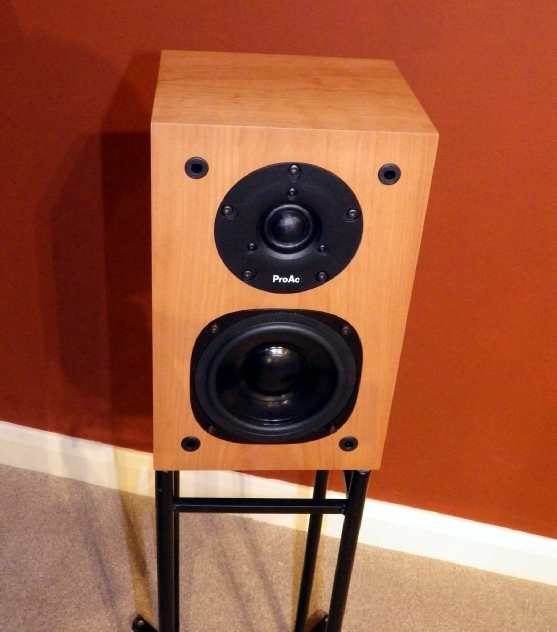 The Einklang is a rather surprising speaker, and a remarkably good all rounder for such a specialised design, they sound like some of the great vintage full range drivers but require the listener to make far less compromises. 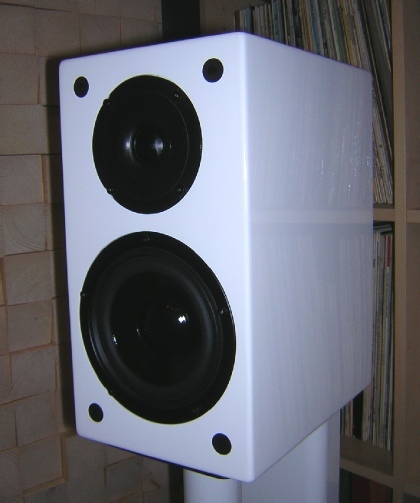 Whilst they will not be for everyone, they are an endearing and enjoyable design that is very different from the market norm and Heco should be applauded for going to such lengths and producing what is a very well rounded and highly capable speaker. Finishes: Satin White, Satin Black. Dimensions: Height: 84cm, Width 38cm, Depth 38cm. 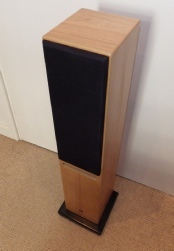 The SM100 is the successor to the classic Studio 100 - one of our all time favourite stand mounted speakers. To understand this new model it’s best to consider its predecessor first. It was a design that was kept in production for two decades as it was highly prized by those in the know for its naturalness and accuracy, yet simultaneously was perhaps ProAcs best kept secret, often being overlooked in the press. Over the years it has found homes in many domestic and professional settings - in the case of the latter the list of famous names that own them is impressive - from heavy metal and dance musicians and engineers through to many more sedate genres. We were very sad when they finished production (in fact ProAc had several aborted attempts to discontinue them as demand kept pushing them back into production) and we were concerned that they wouldn’t reach the same heights again, but thankfully it appears our fears were unfounded. I’m delighted to say that the new SM100 is remarkably close to the original, both in terms of design, sound quality and presentation. The cabinets are still reassuringly weighty and dead and of the same size as the original. The classic combination of soft dome tweeter and paper mid/bass driver is thankfully retained too. A new 1” tweeter, and crossover, is used, with the bass driver featuring the latest ProAc cast basket and a rubber rather than foam roll surround, making them more robust (and longer lasting in humid climates). At the time of writing I have not back to backed the old model with the new, but think I am sufficiently familiar to make comparison with reasonable confidence. First thoughts are that the new model strikes me as being much easier to partner. The old model would spit out inferior electronics, revealing greyness and grain wherever it existed. For us it was never really a problem, we took care to make sure they were partnered with the right (predominately valve) amplification and high quality sources, and then music simply happened. So they are more forgiving, but they don’t seem any less transparent, which is quite something to pull off if true. They still thrive on great partnering systems of course, but remarkably tolerate inferior ones without disdain (although do remember this is still as serious a speaker as you’d expect of one at its price, so it’s all relative). 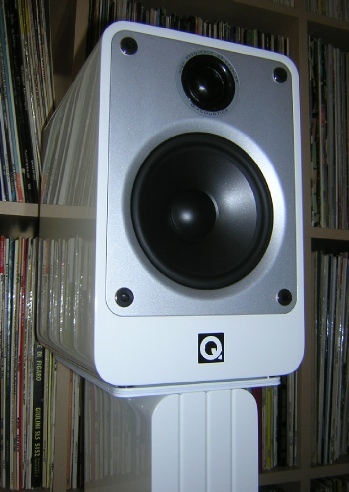 Unlike most speakers used in studios there’s no obvious presence lift, they’re not relentless and tiring and they don’t make you feel like a giant magnifying glass has been placed over certain elements of the recording at the expense of others (and of musical enjoyment). What has always made the 100 special is the mid band, and that’s still the case. 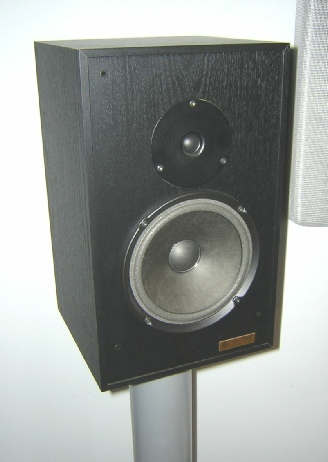 It is expressive, clear and natural to a very rare degree - compare it to many British classic highly regarded monitors that use plastic cones and you’ll hear just how contorted and contrived they really are. This isn’t a one trick pony though, there isn’t an area that lets them down, the treble is open and extended, the crossover beautifully judged. The bass is clean, tuneful and as extended and powerful as can be expected of a cabinet of this size and with this level of sensitivity (a perfectly reasonable 88dB). They image, they time, they portray emotion - you get the gist! Finishes: Cherry or Black Ash real wood veneers. Other special order finishes available for a premium, please contact us for details. 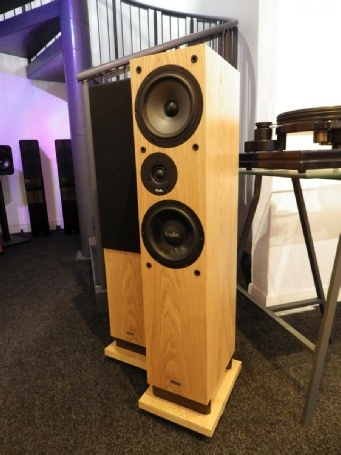 The Elementa 700 is the big brother to the stand mounted 300 featured elsewhere on our speaker pages, and as you’d probably expect there are a lot of similarities. The drive unit technology is the same and this carries over to a very similar presentation, but with even greater room filling abilities. 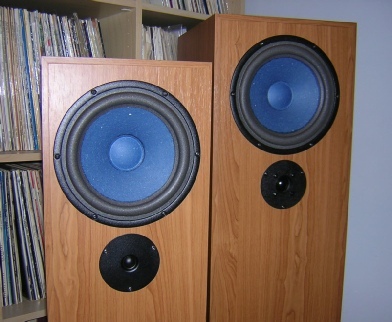 It’s a three way design, with a soft dome tweeter and three 170mm paper coned drivers - the top one handling the mid range (above 280Hz) and a pair below handling lower frequencies. The crossover is bi-wireable and has the unusual feature of allowing them to be run flat or with +2dB treble lift - although to be quite honest you would need a seriously over damped room to want to run this, as they sound very nicely balanced in the flat (linear) setting. 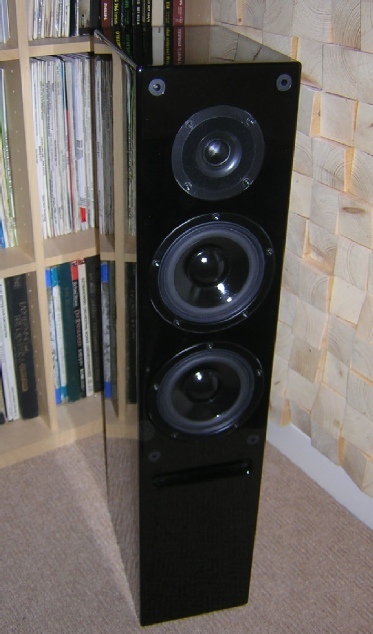 They are a pretty substantial speakers, and as you’d probably expect of a speaker with this sort of cone area they produce an effortless, room fillling, dynamic sound. Like the 300 there’s a little softening in the mid band but this is not unpleasant nor intrusive. In smaller rooms they will need some space behind them, circa 50cm or so, but this can be reduced the further they are from corners. With the 700 Heco have done it again, they have produced an extremely high value for money speaker, that is very listenable and engaging. 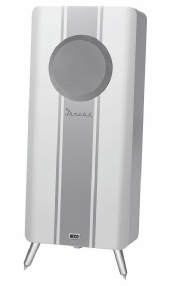 The ProAc DT8 is the successor to the Studio 140 and 148 lines. Housed in a slightly smaller enclosure, and now with the tweeter beneath the top bass mid driver, this speaker carries on the tradition of offering good efficiency and extended bass. It’s a two way design and is particularly unusual as it combines two very different drivers covering the mid/bass region, the lower one a paper cone and the upper a polypropylene. 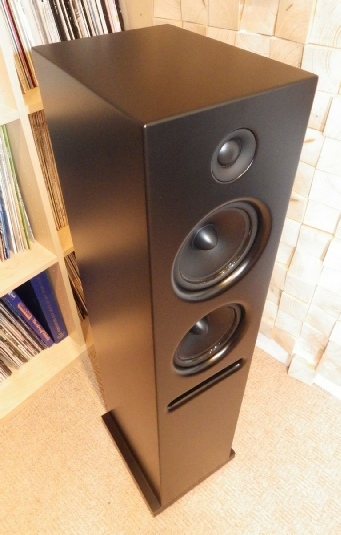 They produce a sound that has good bass weight and scale in a reasonably compact package, they’re easy to drive and relatively flexible with room positioning thanks to the floor port working onto an integral plinth.